Founded in 1985, American Guardian has been performing inspections, installing and servicing commercial fire alarm systems and commercial security alarm systems for businesses of all sizes for many years. It is critical for the safety of your employees, guests and customers that you have current, state-of-the-art, fire detection and life safety equipment professionally installed in your business. You will also need to maintain your system with annual inspections to ensure your system is still in compliance. Sign Up for a Free Quote! 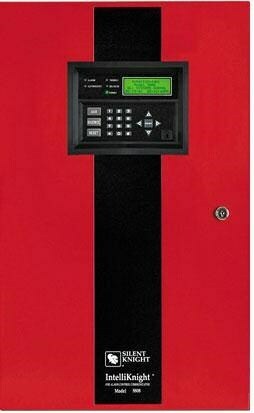 No cost, no obligation, personal consultation and quotation for a commercial fires system for your business. 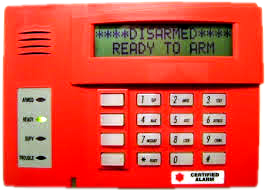 Whether you have a small retail business in a 1.000 square foot retail space or you have a 300,000 square foot facility, our American Guardian professionals are uniquely qualified to match the alarm panel, sensors and notification devices to accommodate your individual requirements and needs. Proper testing, inspection and maintenance of fire alarm systems and the life safety systems can save lives and property. 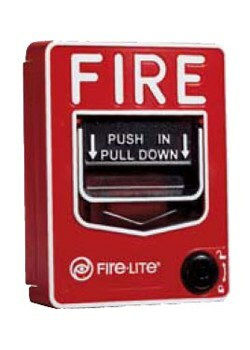 Our American Guardian licensed and certified technicians will perform regularly scheduled Fire and Smoke alarm maintenance on every Fire and Life Safety system installed on your facility. Our certified engineers and technicians will make sure that you are compliant with the national Fire Protection Association standards as well as all federal, state and local codes. 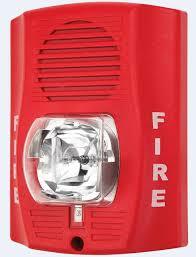 We specialize in providing the latest Fire Detection and Life Safety technology at very competitive pricing. Let us prepare a quote for your business. We promise you‚ you’ll be glad you did. This exciting service is made available through an application that is downloaded on each family member’s smart phone. The new service allows ADT customers to bring security and peace of mind – anywhere they go. With ADT Go, customers can know where their loved ones are, receive local crime data, and even get driving safety alerts for teenaged drivers and other family members. Family Connectivity: With GPS location sharing, private message, activity history, and battery life alerts. Crime Awareness: Local crime data from the community, (where available). SOS Emergency: Allows family members to summon Police or Emergency Medical response to their exact location when they are away from their home. When the car is speeding. When the car brakes suddenly. When an automobile crash is detected, ADT Go Premium dispatches emergency services and stays on the phone with the family member until emergency responders arrive at the scene. ADT, LLC founded over 138 years ago is “America’s largest and most respected security company.” While other security companies come and go ADT is dedicated solely to security and provides a level of technology and service that other companies can only aspire to. 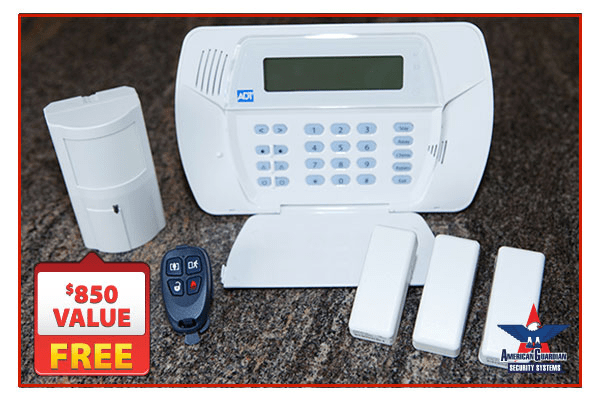 ADT is without question unequaled in the industry for both cutting edge proprietary technologies as well as overall customer satisfaction for ADT Monitored Home Security Alarm Systems. The venerable blue ADT yard sign is one of the most recognized logos in the entire world. 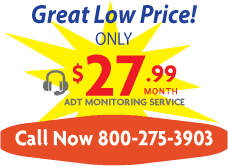 One of ADT’s latest technology offerings is ADT’s proprietary Pulse technology. This new technology allows ADT customers to check and control their systems remotely from anywhere in the world through their smart phone, tablet, laptop or computer over the internet. They can also order Pulse enhanced services that can allow them to view their home, control their thermostat and even lock their doors remotely over the internet with their smart phone. ADT’s advanced Pulse services go far beyond basic security applications to provide lifestyle enhancing features for their customers and they do this at a higher level than any of their competitors. 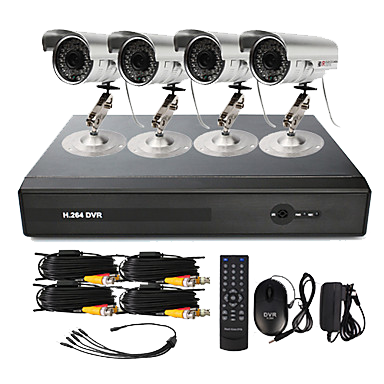 Additionally, unlike other security companies who only have one monitoring station, ADT currently protects each of their customers with a sophisticated, fully redundant, interconnected network of nine different monitoring stations to provide the ultimate in fail safe security. It is no wonder now that with over 6.4 million customers that ADT now protects they now have more than six times as many customers as their closest competitor. ADT has currently grown to over 200,000 regional offices and over 20,000 ADT employees. 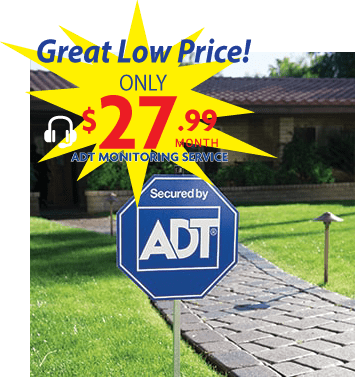 They also have over 450 ADT Authorized independent dealers throughout North American to provide the same stellar world class monitoring services that ADT has become world famous for. In short, there is a very real, discernable difference in ADT quality.